Bright Ideas for your money. Have you ever wondered what the best things are that you can do for your money and your financial future? 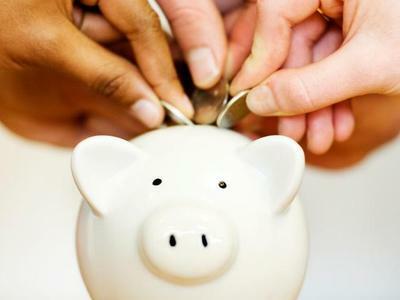 Here is our list of the smartest things that anyone can do for their finances. If you are spending more than you earn, you will never get ahead—in fact, it’s a sure sign that your finances are headed for trouble. The best way to make sure that your income is greater than your expenses is to track your expenses for a month or two and then create a budget. It can be a very simple budget, but you should have one. One of the best things you can do for your finances is to pay off all of your debt. To get started, focus on your most expensive debt—the credit cards and loans that charge you the highest interest. Once you have paid off all of these debts, focus on paying off your mortgage. For your mortgage, consider splitting your monthly payment in half and paying bi-weekly. Then pay extra as you can afford it. This will shave years off your mortgage and save you tens of thousands of dollars in interest. Saving money for your future is crucial. If you don’t set savings goals and steadily work towards them, you will have to rely on credit when times get tough. You might even need to work through your retirement years to supplement your small government pension. Entering retirement may also be delayed or impossible if you are in debt because you need enough money to make all of your payments. Plan for your retirement. Figure out how much money you will need to retire comfortably, and then start saving. This money also makes a great rainy day fund if you lose your job or suffer another unexpected financial setback. Make sure you have enough insurance. Accidents happen. 1 in 4 people are hurt on the job. Natural disasters can easily cause thousands of dollars in damage to your home. Make sure you have enough insurance for the place you live and the lifestyle you lead. Write a will and decide who will get your assets and/or take care of your children when you die. This lets you decide who benefits from all of your hard work. Due to the magic of compounded interest, even when the rates are low, someone who starts to save for their retirement early doesn’t have to save as much as someone who starts saving later in life. If two people decide to save for retirement, but one starts at 21 and the other at 31, the 21 year old can save $100 per month until they are 65 and accumulate $253,000 for their retirement (assuming a 6% annual rate of return). The person who starts at 31 on the other hand, will have to save $190 per month to have the same amount by age 65. So the second person would have to pay almost twice as much per month to make up for waiting 10 years. It’s never too late to begin saving, but the sooner you start, the better off you will be. Many people will do more research before buying a TV than they will before purchasing an investment or buying a home. Make sure that you’re not one of them. Buying a home and saving for retirement are two of the biggest financial decisions most people will ever make. There are no major financial decisions or major purchases that need to be made on the spot. In fact, being pressured into making a hasty financial decision is one of the warning signs that the deal might not be as good as it seems. All worthwhile opportunities will be there another day if you are patient. It is better to wait and learn a cheap lesson, then hastily rush into something and learn an expensive lesson. When you take the time to sleep on big decisions you have time to consider alternatives, evaluate whether you really need to do this, and probably get some other opinions or information. These are wise things to do every time you make a big decision—but especially financial decisions. Studies show that married people earn higher incomes, have twice the assets at retirement, and live on 25% less than what comparable single people would need to live the same lifestyle. Statistically speaking, staying married is good for your finances. What’s the Smartest Thing You Do for Your Money? You probably have bright ideas about smart things to do for your money and finances that others would like to know about too. Leave a comment and share your good ideas!